This is the first of three entries on my recent trip to New Orleans. This one deals with the history of the city, most of which is quite visible as you walk through her neighbourhoods. The second entry will deal with Katrina, the damage that the hurricane did and the recovery efforts. 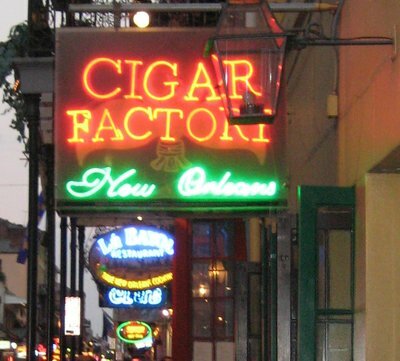 The third and final entry will deal with food, booze and the general debauchery of Bourbon Street. 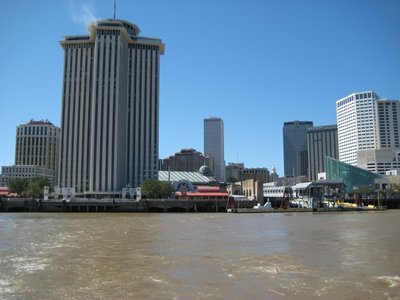 The city was founded at the bend in the River in the 1718 by Jean Baptiste Le Moyne, Sieur de Bienville. Bienville was living in Biloxi at the time, and was asked by John Law, the Scotsman who was in charge of France’s Company of the West to find a suitable place for a colony. Bienville had seen the site 19 years earlier while on a expedition with his brother Pierre Le Moyne, Sieur D’Iberville to map the Mississippi River and cement France’s claim on their section of North America. Bienville had liked the site for two reasons. Firstly, the bend made it easy to defend. 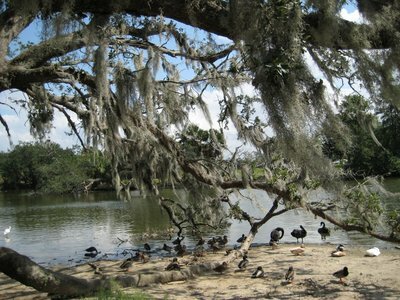 Secondly, St. John’s Bayou provided a link between the Mississippi and Lake Pontchartrain, allowing easy military and trade access to the gulf of Mexico. Bienville founded a settlement on high ground and named it New Orleans after duc d’Orleans, the regent of France. The town was founded based on the plan of French towns, with a central square called the Place d’Armes and a grid of streets. Earthen mounds topped with wooden walls surrounded the city, protecting it both from potential invaders and the occasional flood from the river. 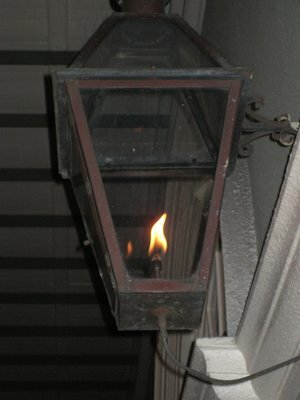 John Law, the Scot running the Company of the West, marketed New Orleans across Europe as a land of milk and honey, a golden opportunity to become wealthy and live in luxury. In reality, early New Orleans was nothing more than a scattering of huts of cypress, moss and clay, and not much opportunity at all. However, the marketing worked and soon a mix of Europeans joined the French already at the site, and the population grew large enough to replace Biloxi as capital of the French territory of Louisiana in 1723. In 1727, a group of Ursuline nuns arrived in town and started a convent. They took on the role of educating young French women sent over to New Orleans as potential wives for the mostly male population. The girls became known as les filles a la cassette, or casket girls, after the coffin shaped government supplied box used to cart their possessions to the new world. Despite the population growth, the plan for the colony to generate wealth for France failed. 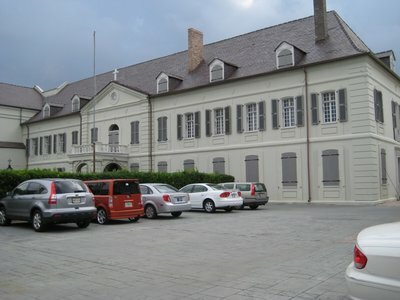 The Company of the West and John Law were forced to give up control of New Orleans in 1731, and the French Monarchy took direct control of the city and Louisiana. 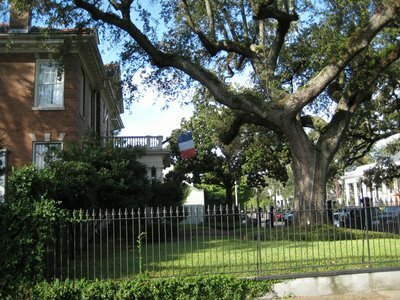 Plantations started to be established along the Mississippi River near the city, and the city’s wealthier citizens started to develop a society based on the French court, with parties and feasts. 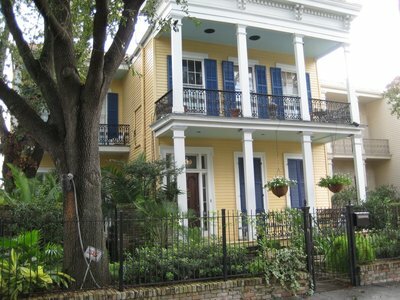 The French Quarter has an undeniable sense of history, but it is certainly no museum piece. 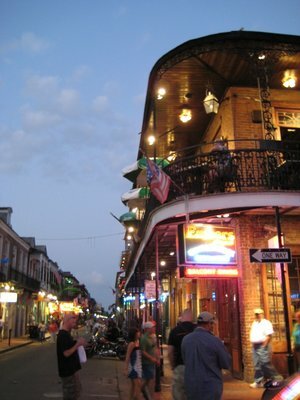 The area hosts a number of bars and restaurants and the world famous Bourbon Street, which is a bacchanalian scene any night of the week. In the early years of the city, France imposed strict trade regulations on New Orleans, and the citizens were barred from trading with anyone but France. Unfortunately for both France and New Orleans, this situation lead to a financial crisis, and King Louis XV granted all the land west of the Mississippi to his cousin, King Charles III of Spain in the treaty of Fountainebleu in 1764. Without the benefit of CNN, however, it was two years until anyone in New Orleans knew of the switch, when governor Don Antonio de Ulloa arrived from Spain to take over control of New Orleans. 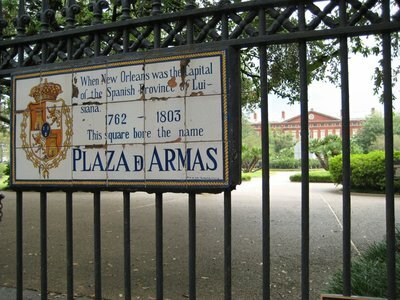 Spain tried to impose similar restrictions on New Orleans, allowing them to only trade with Spain, hampering any economic progress for the city. The citizens of New Orleans revolted against the government, but any rebellion was crushed in 1769 when Don Alexander “Bloody” O’Reilly was dispatched by the Spanish government along with 3000 soldiers to regain control. New Orleans found a way around trade restrictions, though, and these were boom times for pirates, like Jean Lafitte. 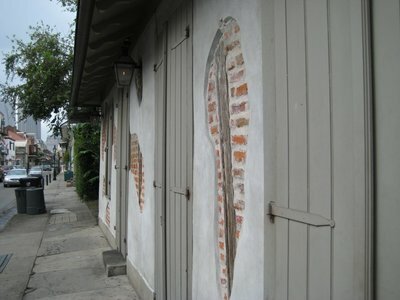 Lafitte opened up a “blacksmith shop” in the French Quarter to trade in plundered and illegal goods, including alcohol. The building is still standing in the French Quarter, one of the few buildings dating back before the fires in late 1700s and thus possibly the oldest building in the Mississippi River valley. Today it is a bar, and fitting with the old building, has little electric light inside, making it a magical place for a drink at night. in 1795, the Treaty of Madrid opened up trade with America, and the city started to take off. Spain gave the city back to France in 1800, and Napoleon turned around and sold it to the Americans in 1803 for $15 million dollars. 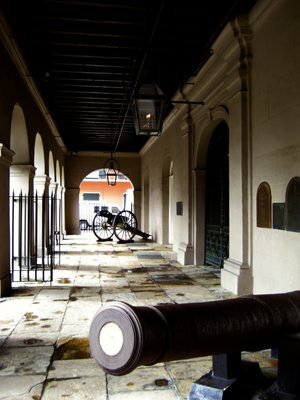 It was in the building called The Cabildo on the Plaza D’Armes where the transfer papers for the Louisiana Purchase were signed. 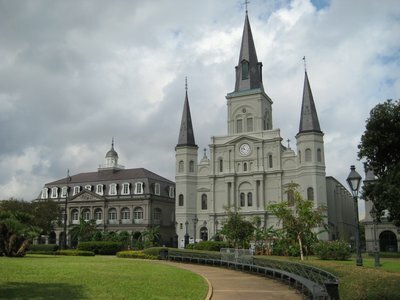 The Cabildo is the building on the left, beside St. Louis Cathedral, the oldest catholic church in the United States. The canons out front apparently work, if pressed into service. As a prank in 1921 someone loaded one up and fired it. Unfortunately, the canon ball flew clear across the Mississippi River and 6 blocks inland where it nearly killed the occupants of the house that the canon ball smashed into. It is said the Napoleon had planned to take back Louisiana by force after dealing with those pesky Europeans, but never got the chance because of that small problem of a defeat in Waterloo, Belgium. The French and Spanish Creole did not take kindly to the idea of being Americans. They liked their courtly society and felt that American governance would mean an end to their European ways. As such, American settlers were pushed to settle on the other side of Canal street, up river from the French Quarter. 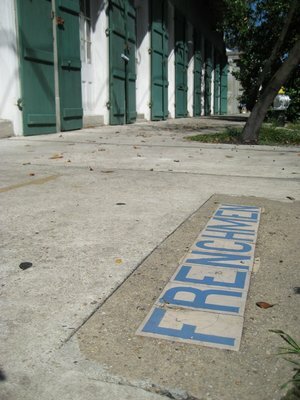 The original French and Spanish inhabitants lived mostly in the area that is now known as the French Quarter or the Vieux Carre (old Square), which rightly is the focus of most tourist visits. 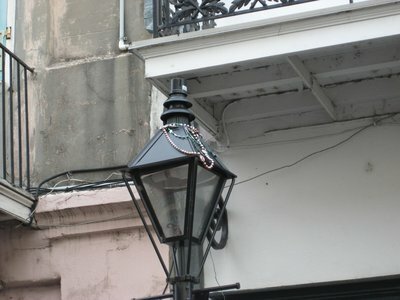 The French Quarter has suffered a few devastating fires in the mid and late 1700s, but a large number of the buildings date back to the early 1800s and are very well preserved. As the last building boom, after a fire in 1794 happened during Spanish rule, much of the French Quarter has Spanish architecture - lots of balconies, arches and courtyards. Like most tourists, my first stop in New Orleans after dropping my bags at my hotel was the French Quarter. I spent my first night and all the next day exploring the 90 block area, and returned there every day of my 5 day trip, at the very least for the nightlife on Bourbon street. 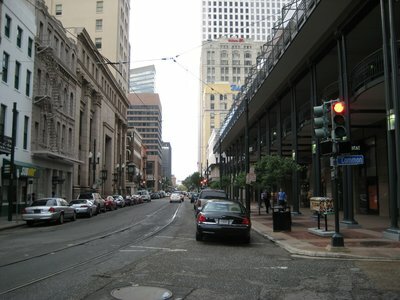 Canal Street is a wide boulevard that separates the French Quarter from the “American sector” of Faubourg St. Mary, which is now known as the Central Business District. There is no canal anywhere close to Canal Street. One was planned, but never built. Today Canal Street is a long boulevard of shopping, mostly discount stores. Street improvements are underway to try and bring in some higher end businesses, though, to make Canal Street a more vibrant part of New Orleans. The Central Business District, where the Americans first settled, today is pretty much like anywhere else where Americans settled and made a city - lots of tall, shiny towers where people work in cubicles on computers. Like many downtowns in America, there are shuttered buildings and rundown turn of the 20th century high rises, but also like many downtowns in America, revitalization is underway, trying to bring life to city core after the office workers head home for the day. New Orleans is probably luckier than most, as the French Quarter was never abandoned, so they don’t have to pull people from too far away to bring some people over. The is an area of old warehouses that is being revitalized with shops, bars, restaurants and galleries, and there are plans to build a Jazz area near the Superdome. 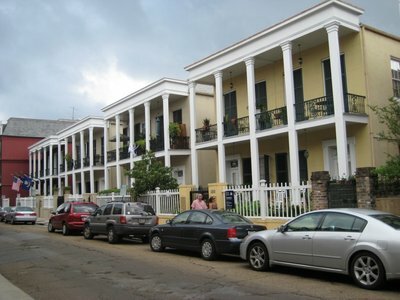 Further uptown from the CBD is where the rich Americans settled in what is known as the Garden District. 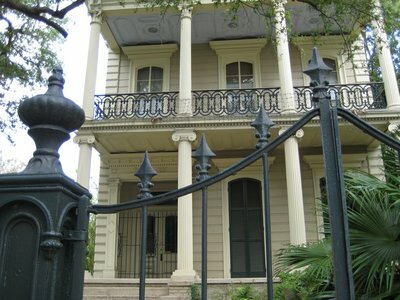 The area was originally a plantation, but was subdivided to make room for the expanding population of New Orleans. Throughout the 19th century Americans built homes, most in the styles of Victorian, Italianate and Greek Revival. 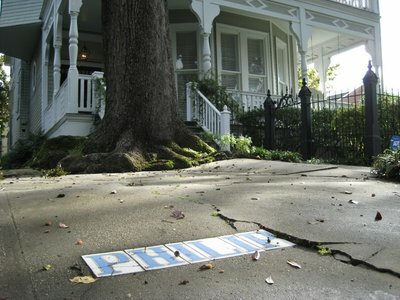 Archie Manning, former New Orleans Saints quarterback and father of Peyton and Eli, who are the quarterbacks for the Indianapolis Colts and New York Giants respectively, lives in a home on First Street in the Garden District. 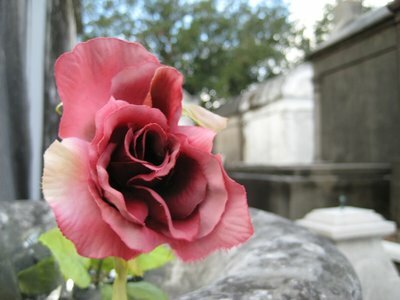 In New Orleans, they don’t bury their dead. When it rains in New Orleans, it tends to flood. And floods tend to churn up anything buried. As such, burying the dead soon meant they would be revisiting you. 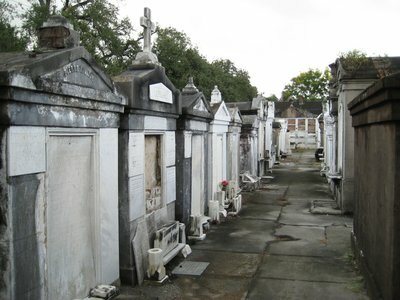 Therefore, New Orleans started housing their dead above ground in crypts. 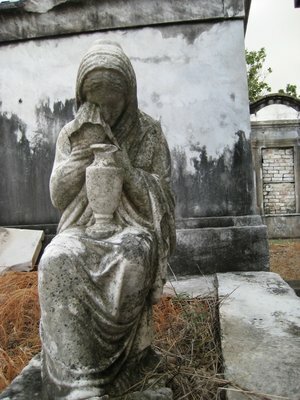 New Orleans is the only place where I was warned against walking in the cemeteries by myself. Apparently some of the cemeteries are in rough parts of towns, and the raised crypts are a convenient place for ne’er-do-wells to hide and do harm to unsuspecting tourists. My guidebook did advise against going into some of them without a guide, but suggested that Layfatte Number 1, in the Garden District, was okay for a stroll without a guide. As the Americans built mansions upriver, the French started to build them along Esplanade Avenue, which runs from the Mississippi River towards Lake Pontchartrain. 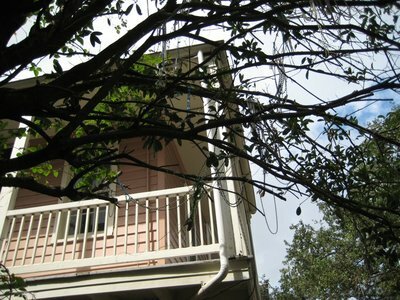 The area became known as Esplande Ridge, though it is only a few feet higher than other areas in New Orleans. I guess when you live in a city whose highest point is 35 feet above sea level and seems to be about as flat as a place can be, words like “ridges” and “hills” take on different meanings. Esplande Ridge today still has many of the mansions built in the 19th century, though some of them seem a little down in the tooth, though there are many that seem very well preserved. Across Esplande, further down river are the areas of Faubourg Marigny and Bywater. Faubourg, by the way, means neighbourhood. 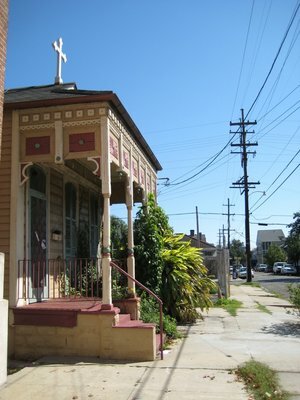 Originally the Creole suburbs for the French Quarter, today the area of Marigny is an up and coming area, attractive to young hip urban types. 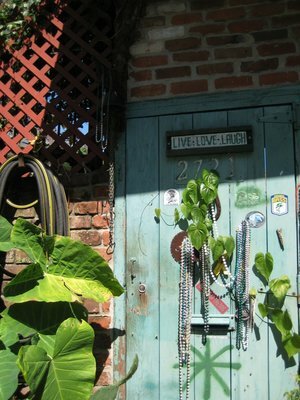 There are a number of quirky bars and art galleries along Frenchman Street, the main drag, and many of the houses in Marigny have been restored by the new inhabitants. Marigny is also the heart of gay and lesbian New Orleans, which seems to be par for the course in cities - First the artists move in for the cheap rents, then the gay community moves in to create a sense of community, then the young, hip, urban types move in for the vibe, then somebody builds condos and all the artists, gays and urban types find some place else to live. Anyway, Marigny is right now free of condos or proposed condo developments, though I heard that they might be building a cruise ship terminal along the river in Marigny, which would probably mean hotels and shopping malls will replace the nice, tiny houses that are there now. However, perhaps the artists are already leaving. Bywater, further down river, looks at first glance like a pretty industrial place. However, it is home to many art studios and artists, so perhaps the shift is already on. Back to the history. Despite the initial separation between the American and French communities, relations soon warmed after Americans did what they do best, make tons of money. The French wanted in on some of that action, and the Americans wanted in on some of the French culture and community, so soon they started really working together. Then something happened that really forged the community. 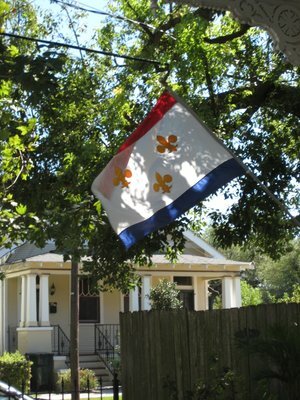 A combined Creole and American force won a decisive battle in a war that was already over. In 1812, the British and Americans went to war. Canada was a launching ground for attacks from the North, and in fact the British Army was successful in making it all the way to Washington, D.C., where they set the White House on fire. The British of course, attacked all up and down the American coast with their naval power. Threatening an attack, American Andrew Jackson and Creole Jean Lafitte sat down together and drew up a plan of defence. Jackson called for a volunteer force to serve, and 5,000 New Orleans residents stood up, both from the American and French sides of Canal Street. The Battle of New Orleans was fought downriver from New Orleans in what is now St. Benard Parish on January 8, 1815. The battle was a rout, with 2000 dead or wounded Brits to 20 Americans. 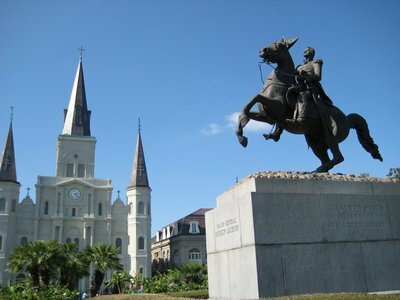 Andrew Jackson became a national hero for the win, and New Orleans renamed Plaza D’Armes to Jackson Square in his honour. Sadly for the dead and wounded, the battle was unnecessary. On December 24, 1814, a Treaty had been signed in Ghent, Belgium putting an end to the war. Unfortunately, again with no CNN and satellite uplinks, neither the Americans nor the British taking part in the battle knew. The early 1800s also saw the start of boom for New Orleans with the advent of the steam powered riverboat. In 1812 the steamer New Orleans (aptly named) arrived in the city. With the whole of the Mississippi to trade on, New Orleans boomed. In 1840 the trade going through New Orleans’ port was almost as much as was going through New York City, America’s busiest port. While the port of New Orleans has gone through some ups and downs, today it is still one of the busiest ports in America. 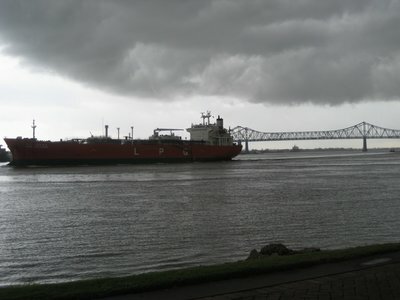 Much of the trade along the Mississippi is transferred to or from ocean going vessels in New Orleans. 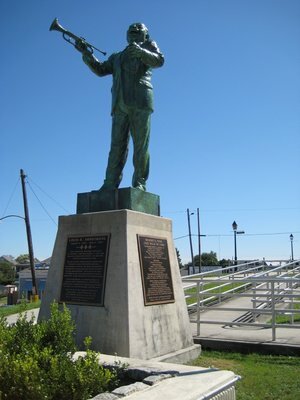 It is rumoured that Governor Huey Long actual built a bridge over the Mississippi low to ensure that New Orleans and Louisiana would always be a vital part of the marine trade. Of course, much of that growth in trade in the 1800s came on the backs of African slaves. The slave market in New Orleans was one of the largest in America. Despite that, New Orleans was also home to one of the largest groups of “free men of colour” in the Southern USA. In 1861, a number of Southern states, including Louisiana seceded from the United States and joined the Confederate States of America. Less than two years later, New Orleans was captured by Admiral David Farragut, and New Orleans was back under American rule. By 1865 the entire South had been brought back into the fold, and the Confederate States of America was no more. 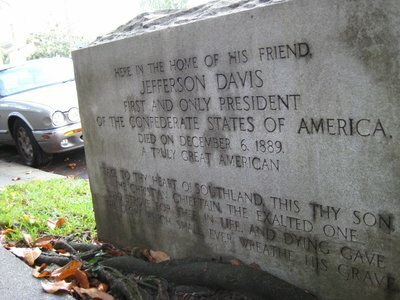 The President of the Confederate States of America for the four short years the breakaway country existed was Jefferson Davis. While travelling in the area in 1889, almost 30 years after his term as the CSAs only president, Jefferson Davis fell ill. He was brought to his friend Judge Charles Fenner’s house in the Garden District. Mr. Davis died there on December 6th, 1889. A stone marker out front commemorates this fact. After the war, Louisiana and the south went about rebuilding their economies without slavery. The city of New Orleans grew in size during this time, annexing the nearby towns of Carrollton, Jefferson City and the town right across the river from the French Quarter and the Central Business District, Algiers. Algiers is connected to New Orleans by a ferry boat, a service that has been running since 1827, though they have updated the boats. 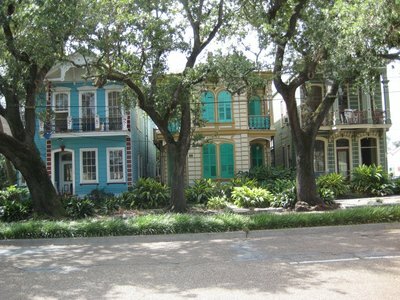 Algiers Point, right across the river, is mostly residential with some nice gingerbread houses. As New Orleans grew post-civil war, gambling, drinking and prostitution started to thrive as well. Alderman Sidney Story, upset about the vice in the city, proposed moving all illegal activities to their own district, north of the French Quarter. This area became known as Storyville, after the alderman. Some of the fancier brothels hired musicians to entertain the guests (in between bouts of being entertained by the girls). It was here that jazz music really began to take off, as out of town guests heard the music that was already gaining ground across New Orleans. Jelly Roll Morton was one of the famous musicians that got his start in Storyville, and Louis Armstrong used to listen to the bands in Storyville before becoming famous himself. In 1917, during World War I, the navy was concerned about sailors getting into too much trouble, and had the area shut down. Little of Storyville’s original buildings remain today, as most of the place was demolished to make way for the Iberville Projects in the 1930s. 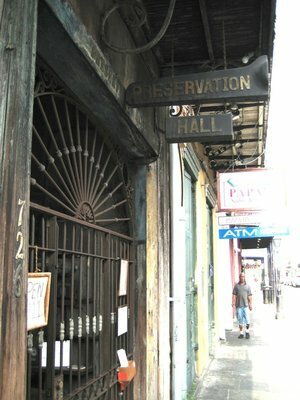 However, jazz still flourishes in New Orleans, including the world famous Preservation Hall, where nightly concerts are held for the low admission price of $10. 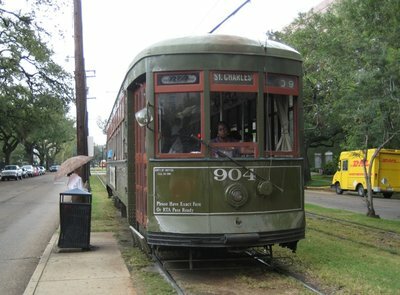 Like many cities, New Orleans built up a massive network of street cars running on rails through out the city in the late 19th and early 20th centuries. And like many cities, they tore up most of the tracks in the late 20th century to make way for more cars. 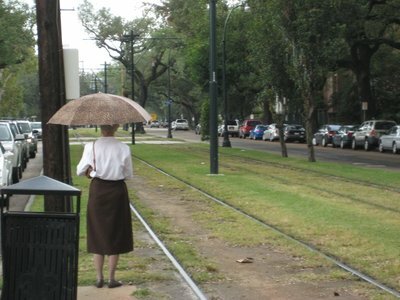 In fact, the year after Tennessee Williams wrote “A Streetcar Named Desire” in 1947, the Desire Street streetcar tracks were pulled up and the route was converted to buses. Eventually all the street car tracks were pulled up save for the line on St. Charles street. 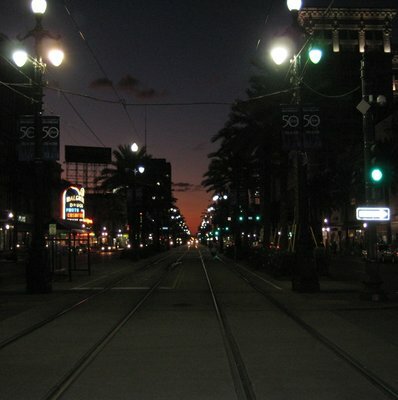 In the early 2000s, New Orleans rediscovered the love of the street car, and 2 new lines have been built, one running along Canal Street to the cemeteries and City Park, and one running along the waterfront. The system has new cars, but still uses a significant number of the 1920s era wooden streetcars. 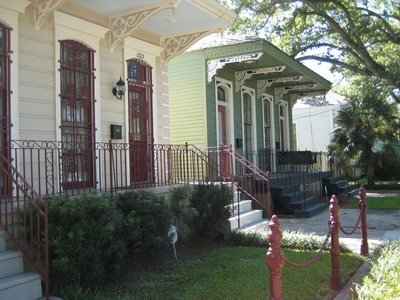 Throughout the 20th century and into the early 21st century, New Orleans continued to grow. In addition to the port, it became a regional financial centre with 50 banks, and a number of new buildings popped up in the Central Business District. For those of us outside of the shipping or financial industries though, at the start of the 21st century most of us would have known New Orleans for the famous Mardi Gras balls and parades. Mardi Gras, or Fat Tuesday, is the day before Lent, and as New Orleans is a very Catholic city, they take both the fasting and prayer of Lent and the party leading up to that period of reflection very seriously. The first Mardi Gras in Louisiana was celebrated by the city’s founding brothers Pierre Le Moyne d'Iberville and Jean-Baptiste Le Moyne de Bienville in 1699 at a spot just down river from present day New Orleans. Today, the Mardi Gras festivities run over two weeks, with parades running along St. Charles and Canal Streets, nightly balls and galas, and lots of drunken revelry on Bourbon Street. Of course, the world’s attention turned to New Orleans in August and September of 2005 for a completely different reason, when Hurricane Katrina, the subsequent storm surge and the breaking of the levees brought international attention to a city being devastated, the effects of which are still felt today.